Our roller-coaster of a journey is done for now, and I’m sad about that. It certainly wasn’t easy – to say that it had some difficult days would be a bit of an understatement. But we came through it. I think there will be a bond between all of the participants, particularly those who shared the dark journey back into Donegal town and the difficult couple of days that followed. Jim Breen called it a “family” and it’s hard to disagree with him. 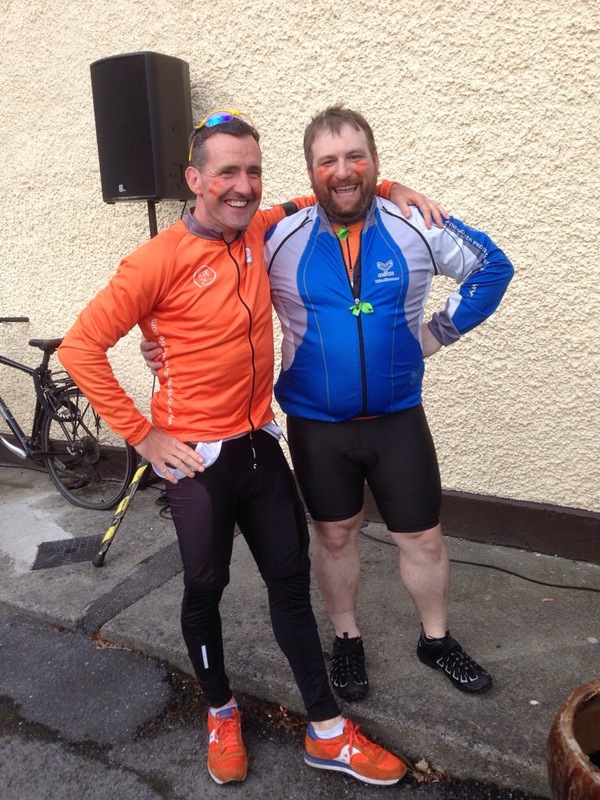 There were plenty of good times, and apart from Donegal, there were some other tough days purely on the bike (Youghal and Newcastle West, I’m thinking of you). 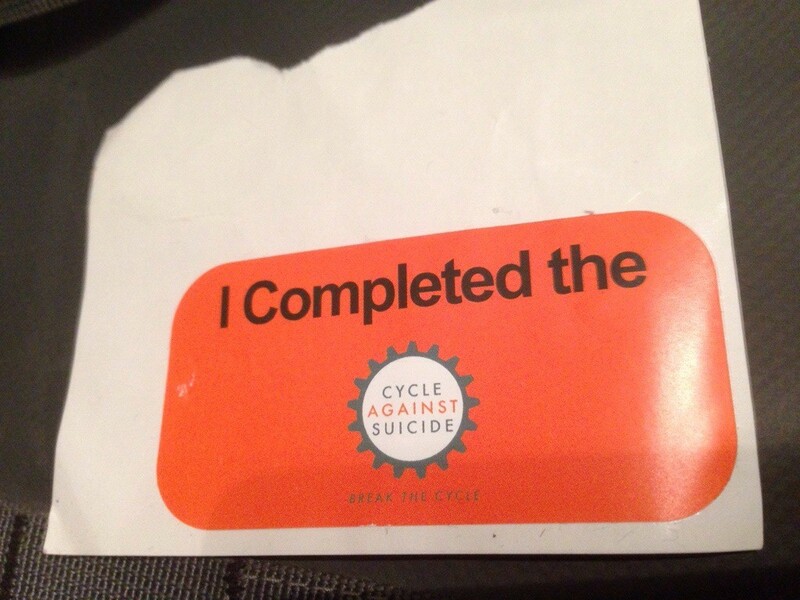 I think that Cycle Against Suicide 2014 has been a success. I hope that Brenawn’s death does not tarnish the good work that has been done – I don’t want to diminish the tragedy or his memory in any way when I say this. We are all so grateful to his family and friends that they gave their blessing to the continuation of the Cycle. I know that it has been a success because I saw the message ticking over inside the minds of at least two strangers I spoke to during the course of the event who had asked what it was about. The message is beautifully clear and true, and it works. I also know it has been a success because of several messages I received during the course of the event, particularly one from my sister and another from a friend which I am going to post here shortly. I need to thank all the organisers, the staff who organised people, food, cars, bikes, more food, homestays, busses and who knows what else. The bike mechanics who drove and even cycled with us and then spent their lunch breaks fixing our problems for no charge. The companies who donated coaches and vans, and the drivers who drove for us. The motorbike marshals, who shepherded our bunch down the road, and who continued on despite the loss of their friend. The cycling marshals who cajoled and joked and shouted and smiled, and who helped us on the difficult days. The homestay hosts who allowed sweaty strangers into their homes, fed and watered us. The local organisers all over the country who made each dot on the map possible. The people of Donegal town who went above and beyond to feed and shelter hundreds of tired, cold and upset cyclists. And my fellow cyclists who shared the road, telling tall tales, jokes, and sometimes the most personal of personal stories. I think I agree with Jim Breen. We arrived into Skerries to an awesome welcome and an amazing spread of food. We had our usual talks, starting with a remembrance for Brenawn, and then the speakers were on a timetable, for the Giro was coming! 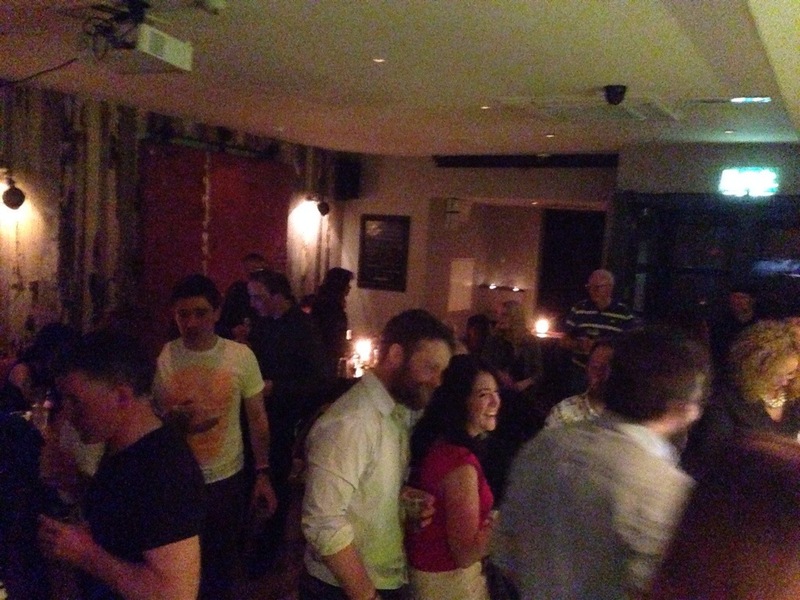 I think Rob Carley was a bit unfortunate with the last slot as his audience started sneaking out the door – the Giro was coming! And arrive it did, led – as usual – by motorbike marshals. 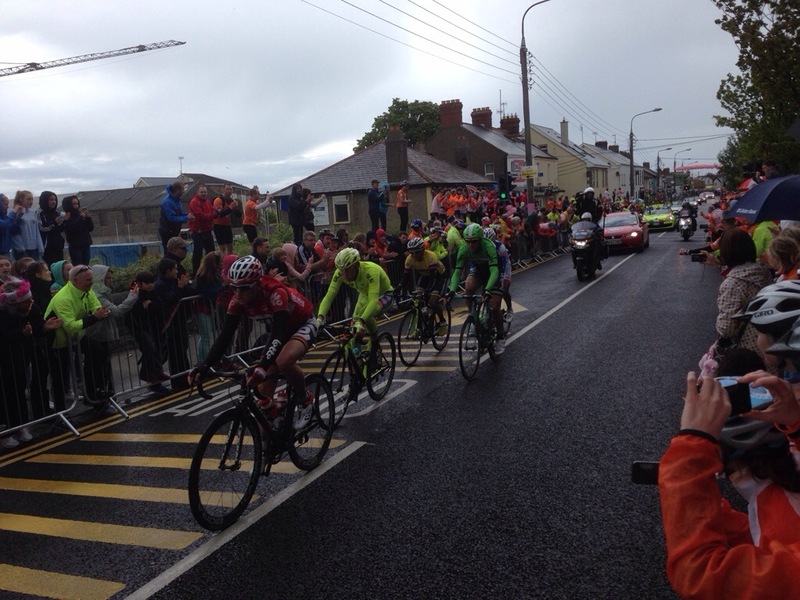 The small breakaway group flashed by the lined streets of Skerries in the blink of an eye. We waited for the peloton, which was close behind. They, too, flashed by in mere seconds, followed by a train of support cars. And then they were gone. I hope our orange peloton leaves more of an impression on the places we’ve passed through. 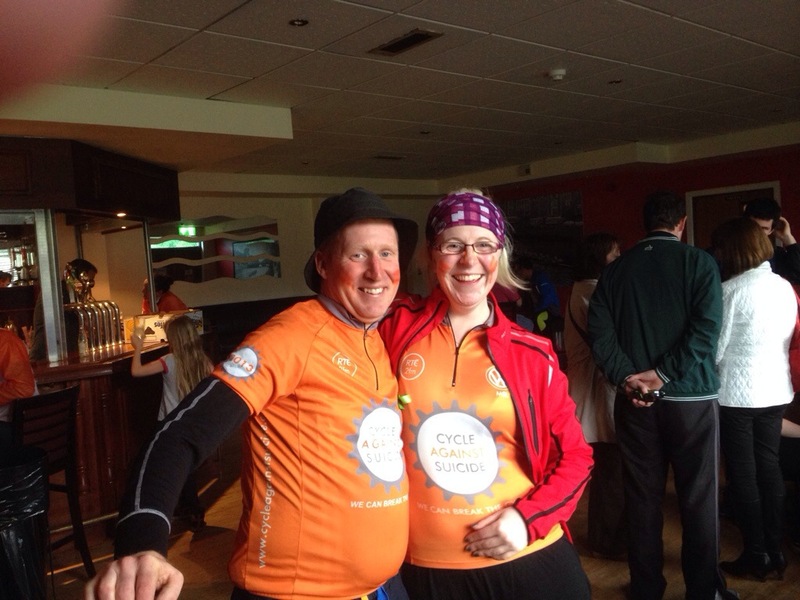 The final leg into Dublin was relatively easy, but despite being on the tandem with Anne-Marie, it did feel a bit lonely. There were so many people I didn’t recognise, so many doing the final leg, that it was hard to find the ‘lifers’ as we’re known. The day-trippers were zipping in and out to get up towards the front and that just wasn’t all that important to us. But eventually, as I knew we would, we heard familiar voices from behind and we had found our place with the lifers at back of the peloton. The rest of the journey in to Phoenix Park and Islandbridge was in the company of family. 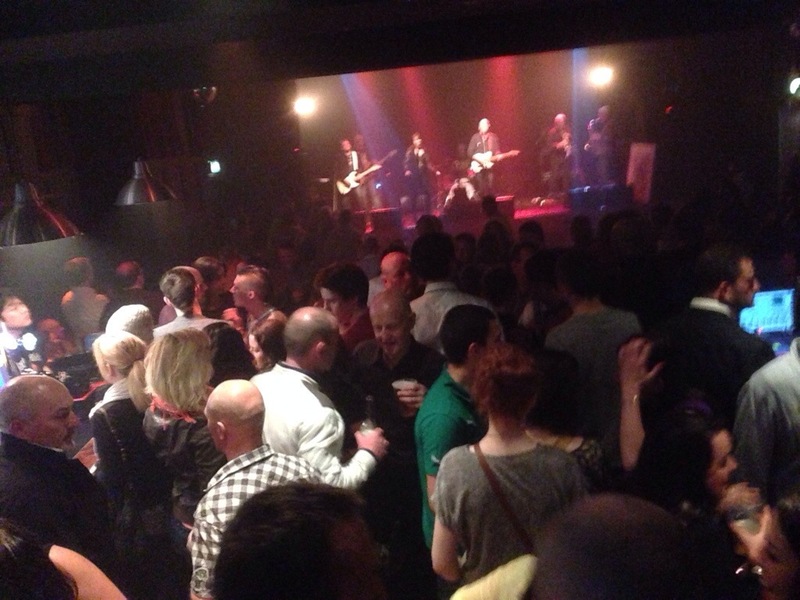 I wasn’t a lifer just a day tripper, I get what you’re saying about the one dayers but we are all educated now…. It’s not a race…. A race wouldn’t have the same impact. Hopefully next year I’ll get to do a few stages. Your blog is very well written, well done to all involved, the food, the craic, the weather 🙁 , maybe not…. The taking part was the most important part for me. I’m not having a go at the day trippers, I felt the excitement and thrill of the cycle myself on those first few days and I was itching to get up the front just as much. I’m glad so many people want to take part. Thank you for the compliment, I do my best to make it readable, what initially comes out of my head isn’t always so! We followed you by reading your blog which gave us a sense of being part of the tour and when you arrived in Tuam it was an opportunity to experience the real thing. The arrival of the group at Enniscrone sent shivers down my back. It was spectacular seeing the peloton coming over the hill and thankfully it wasn’t going as fast as the Giro. We had time to see the pain and happiness on faces as they were cheered home. As a spectator it was emotional – I can only imagine what it was like to be part of such an amazing event. 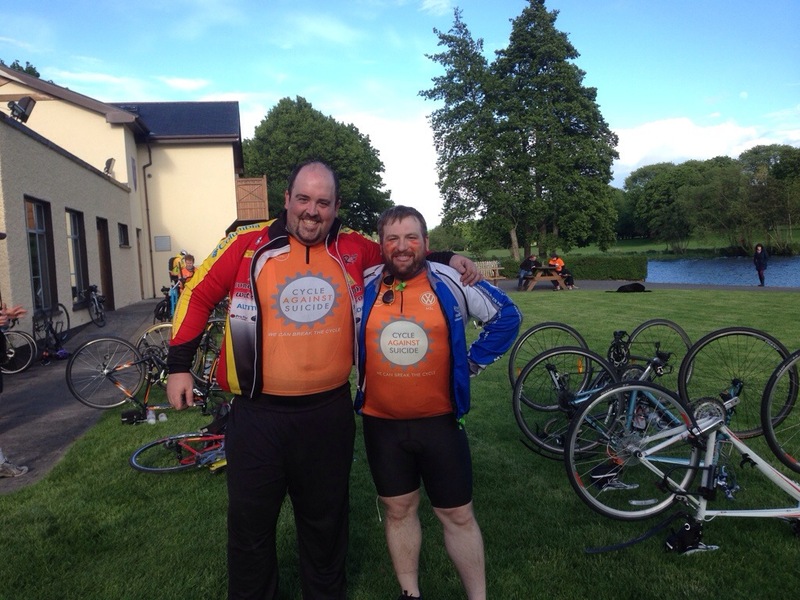 Well done to Jim and all the team and well done Alastair for making it to the end. You did us proud!